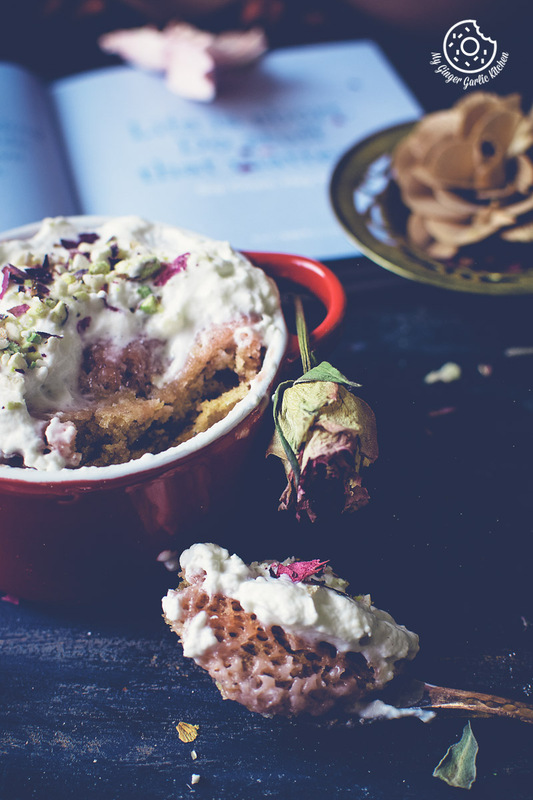 Learn to make Eggless Gulkand Mug Cake in 2 Minutes | Rose Mug Cake Recipe with step by step video instructions. What I love most about this mug cake is that it is super quick, unconditionally palatable, spongy, and so full of delightful rosy fragrance. It takes 5 minutes from start to finish. The most exciting thing is that it’s made in the MICROWAVE! Do you guys remember about my Gulkand obsession? This Eggless Gulkand Mug Cake itself is from that Gulkand recipe series. In February when I shared all of my favorite recipes, I thought I will spare this special one for some other time. Today it feels like that ‘special time’ has arrived. 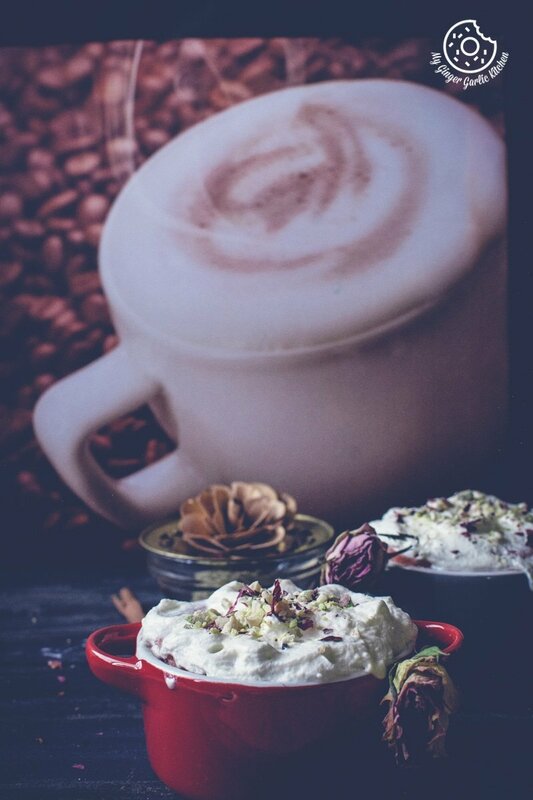 So are you guys ready to meet my latest dish — Eggless Gulkand Mug Cake?! I certainly don’t know whether I can get over this fascination — I just don’t want to. 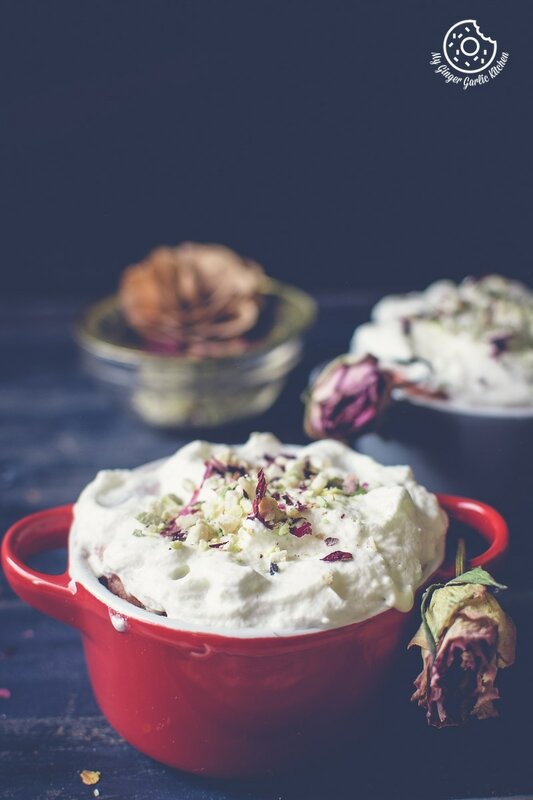 No wonder I have shared them with you all, because all of these rosy gulkand recipes are some of my favorite gulkand desserts. Mmmmm, and this Gulkand Mug Cake is so good. This gulkand fixation made me bake some more of these mug cakes for today’s breakfast. 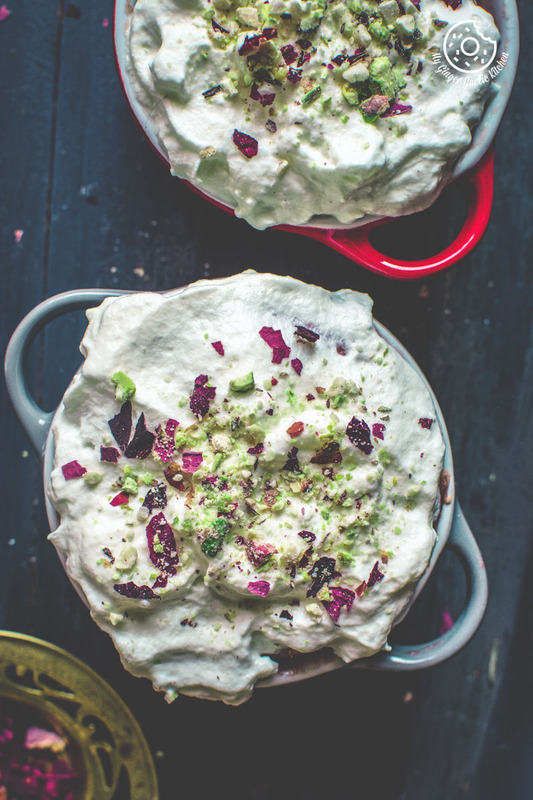 I saw this mug cake in my to-be-shared recipe folder yesterday night, Then, I again fell in love with this charming beauty. A child inside me didn’t let me sleep. Revelation: Never see something too pretty and extremely delicious in the night, especially when you are a sweet-toothed. I bet, you won’t be able to sleep after that. Results: I had an instant urge to have it right away. But then I somehow managed to calm myself. That force didn’t go away even in the morning. It helps to settle the mood. Gulkand / Rose petal jam is a rose preserve which has many wonderful health benefits. During the hot summertime, it’s wondrous. It is a natural coolant, and well known for its cooling properties. It also diminishes tiredness. In other words, this is perfect to spark up your mood. When I woke up in the morning, it was raining, dark and gloomy outside, so I decided to please myself. So, I happily delighted myself with this super easy, 2-minute mug cake, and a cup of hot coffee. Pure Bliss! It surely brightened up my day. What more could have I asked on such a gloomy Monday morning? 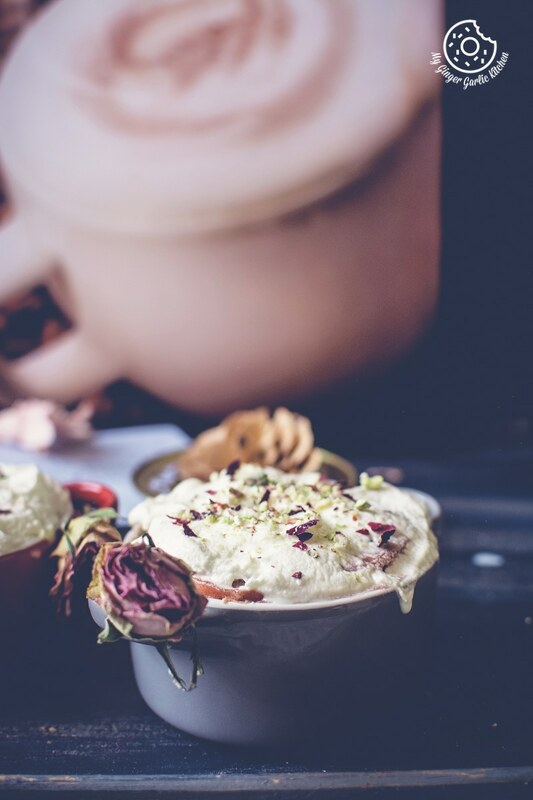 This rose flavored mug cake is so easy and quick. And it tastes so good. Plus, they are so so pretty too. So cool! Isn’t it? Mix everything together, and microwave for 2 minutes. 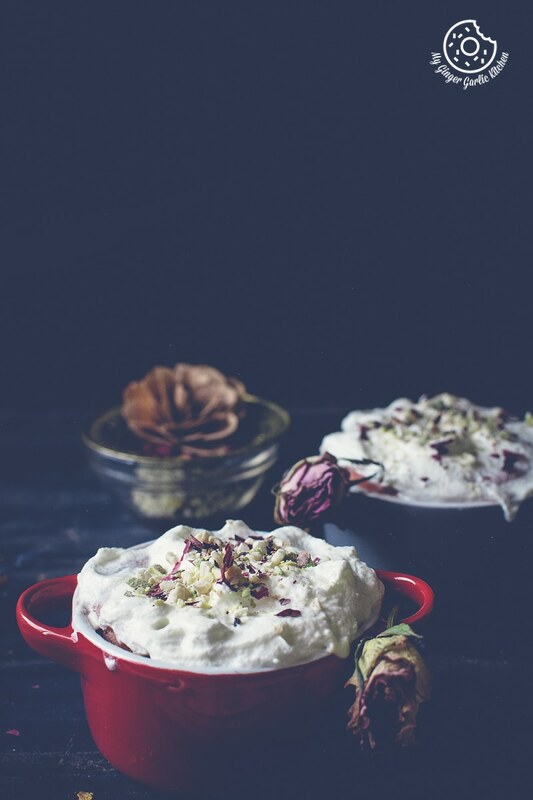 Spruce up with some whipped cream and edible dried rose petals. It’s not mandatory, but it sure tastes awesomely good on top of this mug cake. 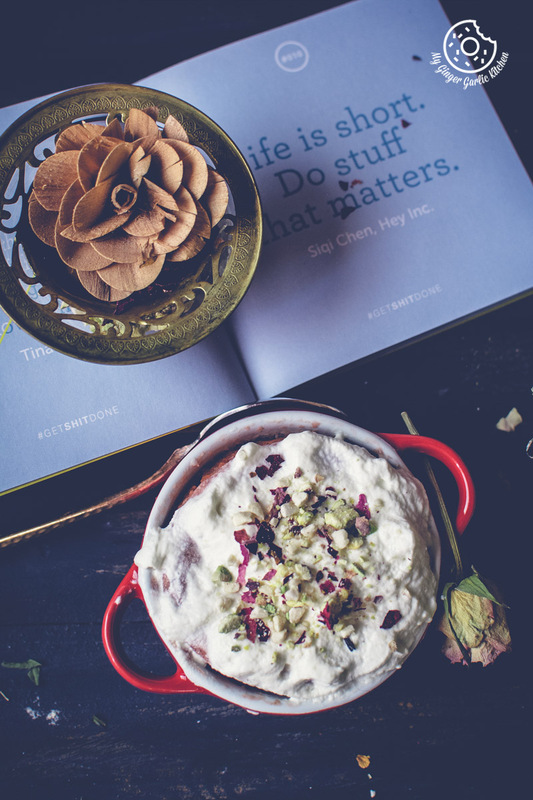 This healthy and delish gulkand mug cake is impeccable for breakfast, but you can surely make it for brunch time, or serve it as a late night dessert. 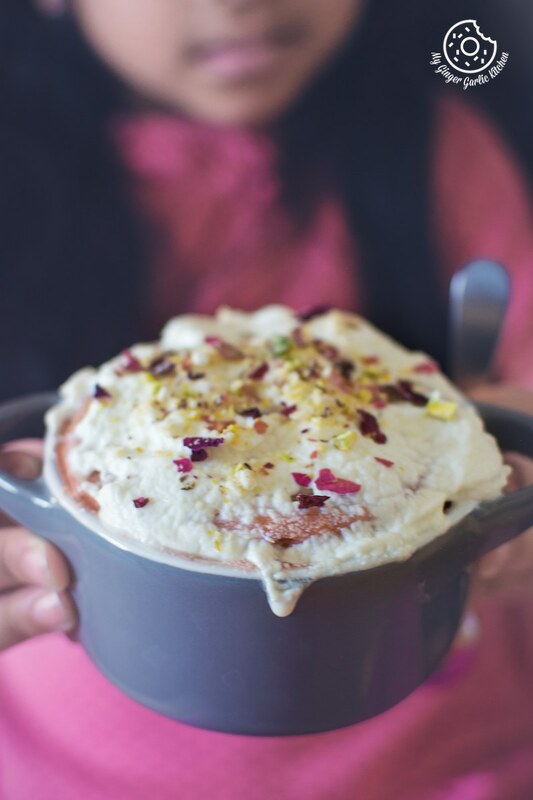 Learn to make Eggless Gulkand Mug Cake in 2 Minutes | Rose Mug Cake Recipe with step by step video instructions. What I love most about this mug cake is that it is super quick, unconditionally palatable, spongy, and so full of delightful rosy fragrance. 1. Add the flour, salt, baking to a bowl and whisk well. 2. Now add rose syrup, gulkand, yogurt, oil, milk, and whisk well to make a smooth batter. 3. Now divide the batter between two microwave-safe mugs or containers. 6. Let the cake cool slightly before frosting with whipped cream. 7. Decorate with some dried rose petals and serve.